Screening event of my last video “Phuket: Two sides of islands” is scheduled for Wednesday 18 February on Stills Gallery with my presentation. My short videos, Kurdish Lesson 1, Kurdish Lesson 2, Kurdish Lesson 3 will be screened before another feature film in the cinema on Friday 10 February at 6.30 pm. 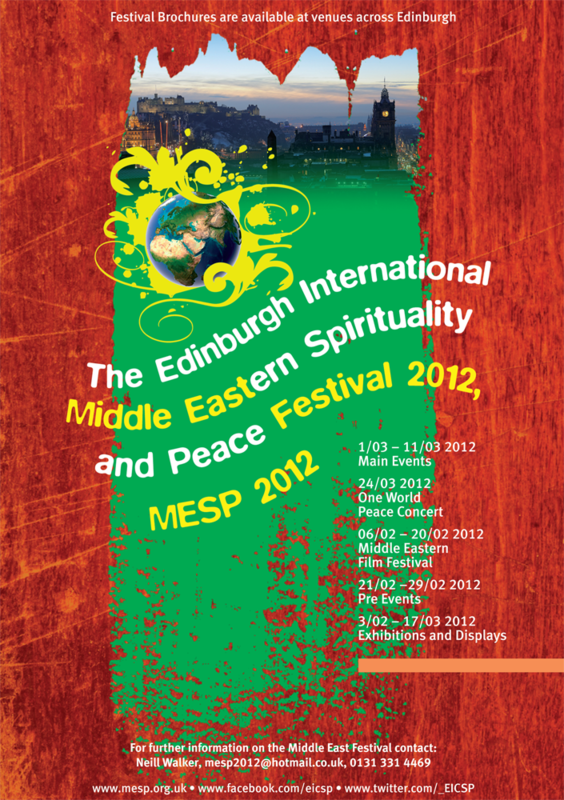 Visual artists’ moving image works at the 2012 Middle Eastern Film Festival. As part of Edinburgh’s 2012 Middle Eastern Film Festival, The Agent Ria:registeredinart will show selected works, online and in-cinema, by two visual artists exploring Kurdish themes, Hakan Akçura (Sweden) and Erkan Özgen (Turkey). The curated artists’ screenings respond to the Film Festival programme and areas of discussion, while providing an opportunity for the audience to experience makers’ differing methods of engagement with moving image. The Agent Ria:registeredinart, is an internet channel for contemporary artists video. Launched in March 2010, it provides a constant point of access to current and experimental work by visual artists exploring various methods and approaches to screen-based practices. New work by different artists is regularly uploaded to the channel, adding to the hosted works. Following on from the retrospective on Iranian cinema in 2009, and Egyptian cinema in 2010, and Turkish cinema in 2011, this year’s retrospective will be on the highly regarded Kurdish cinema. The focus for this year’s Middle Eastern Film Festival will be Kurdish cinema. Concepts of what represents Kurdish cinema are extremely complex as there is no established Kurdish state – the majority of Kurds living in and around the borders of the modern states of Syria, Iran, Iraq and Turkey (and also small parts of Armenia). Kurdish cinema has only really come to prominence over the last decade and a half, through the ground breaking works of Kazim Oz, Yuksel Yavuz, Bahman Ghobadi, Hineer Salem and Yesim Ustalogu, all following in the footsteps of the late Yilmaz Guney. This retrospective will look at the works of these filmmakers and place them within the broader context of contemporary Kurdish cinema, both within the Middle East region and the broader diaspora. It is true that Kurdish cinema is one that evokes the sufferings and travails of its people, but it is also a cinema of great lyricism, humour and humanity and it is these qualities that have struck a chord with moviegoers and critics alike. For many decades the culture, the language and the very existence of the Kurds within these states have been suppressed, but in recent years there has been an increasing recognition of the Kurds and their plight and it should be seen as no surprise that this has coincided with a Kurdish film movement telling the stories of the Kurdish people in the language of the Kurdish people. The majority of the films in this retrospective are taken from this modern period, though there is a brief nod to Yilmaz Guney, arguably the father of Kurdish cinema, with a rare screening of the classic film, The Herd, shot in Turkish because the use of the Kurdish language in Turkish cinema was forbidden at the time. Complementing the Kurdish season will be a Day Workshop on the History and Themes of Kurdish Cinema, facilitated by Mustafa Gündoğdu, one of the pre-eminent authorities on Kurdish cinema, and a master class by acclaimed Kurdish-German documentary filmmaker Yuksel Yavuz. 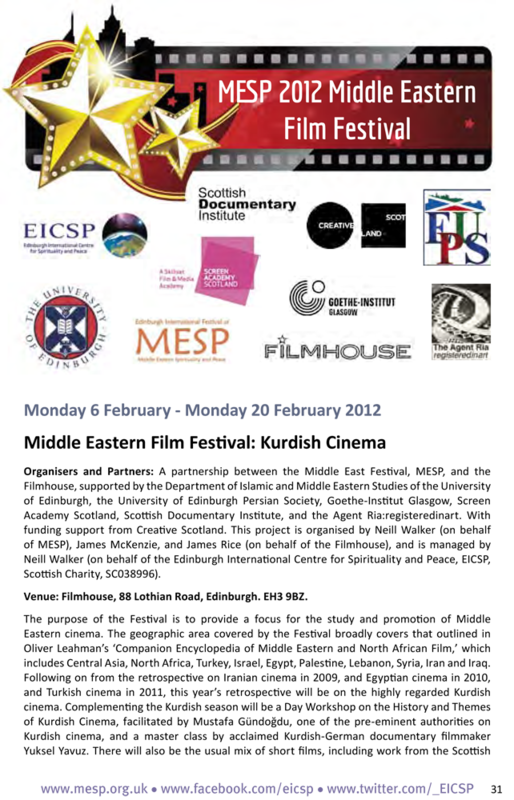 There will also be the usual mix of short films, including work from the Scottish Documentary Institute and Le Femis, France’s Screen Academy, and contemporary Middle Eastern films, headed-up by screenings of Nuri Bilge Ceylan’s award winning Once Upon A Time in Anatolia and Mohhamad Rasoulof’s Good Bye.